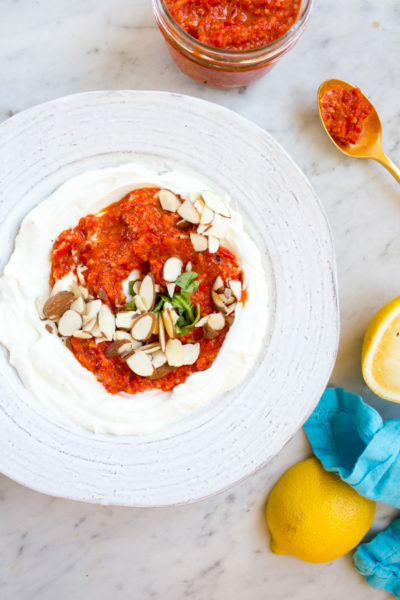 How to make homemade harissa to use on everything! And I do mean everything. 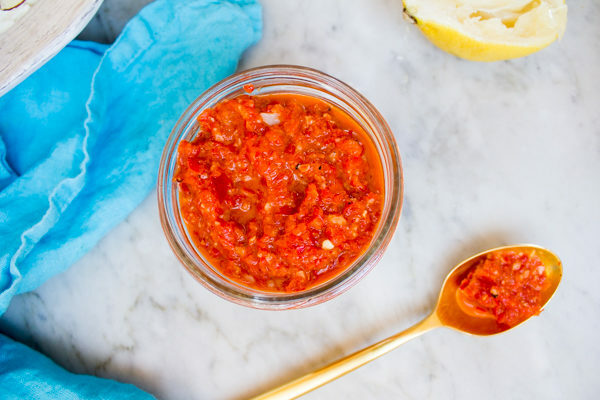 Okay, maybe I’m not making harissa ice cream (but harissa schmear would be AWESOME), but this may be one of the most versatile condiments evvverrr. Y’all are familiar with harissa, right? 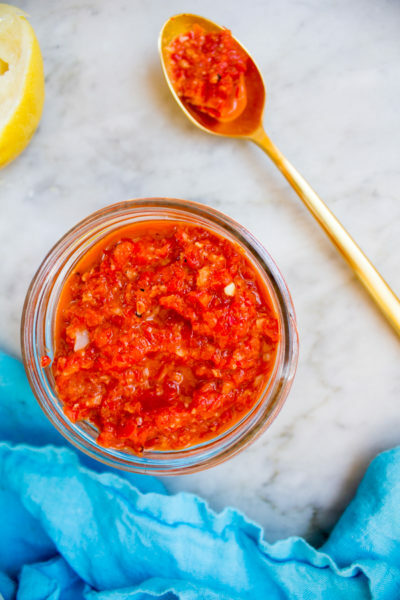 It’s a Tunisian spicy red pepper and garlic paste, that’s super popular in Israel. 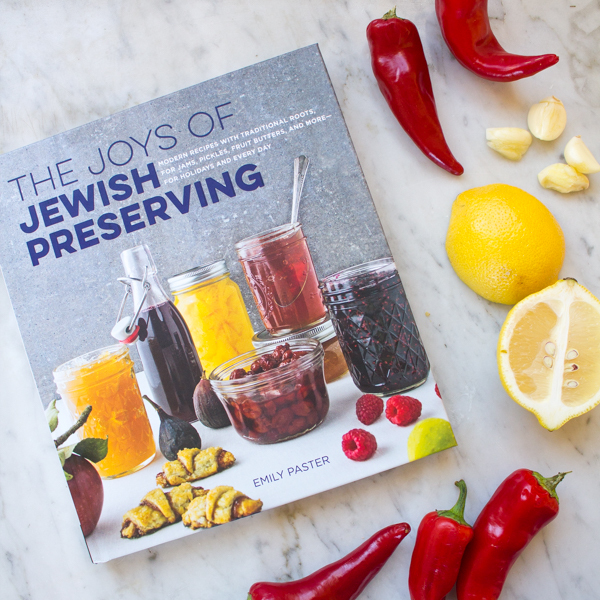 As soon as I saw that Emily had a version in her new cookbook The Joys of Jewish Preserving, I knew what I was making. 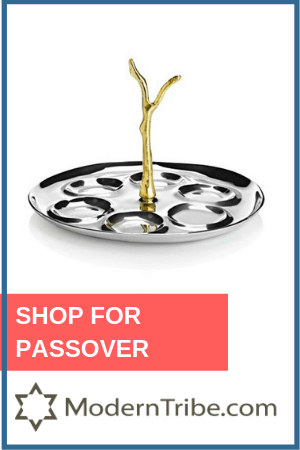 Not that this will be the only dish from The Joys of Jewish Preserving that I’ll be making. No sir. Russian-style sour cherry preserves, preserved lemons, pickled eggs (complete with a unique back story), pickled beets (you know how I love pickled beets) and of course, kosher dills. 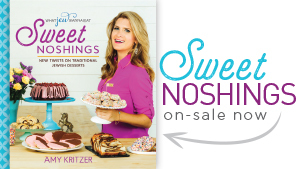 Plus, there are recipes for using your preserved creations like shakshuka and rugelach. Some of the recipes are more advanced than others, and you’ll have to get over your fear of giving your friends and family botulism by not canning correctly (just my fear?) But I do recommend this harissa for beginning preservers because no canning is involved. 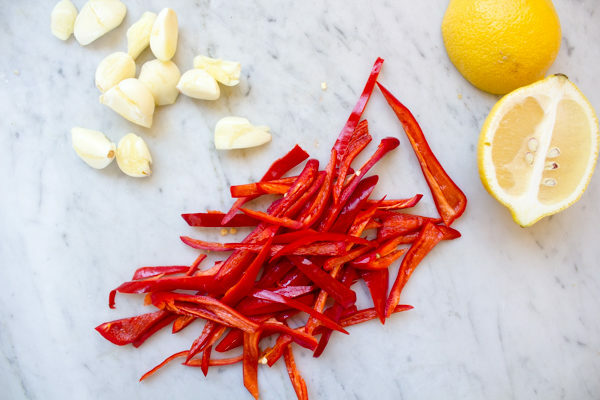 Harissa is just not acidic enough to do so safely. But the harissa keeps in your fridge for months (not that it will last that long anyway). 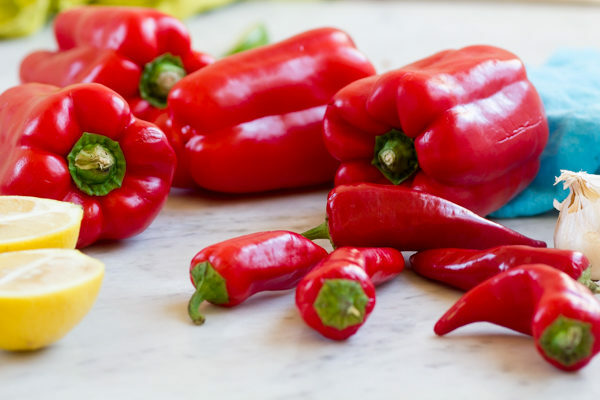 As a bonus, now you know how easy it is to make roasted red peppers. Don’t get stingy with the garlic!! 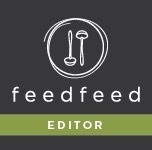 I first met author Emily back in 2014 at the IFBC Conference. Then we reunited just recently applying for the Jewish Book Council! And again I saw her at her book tour event at Omnivore Books. 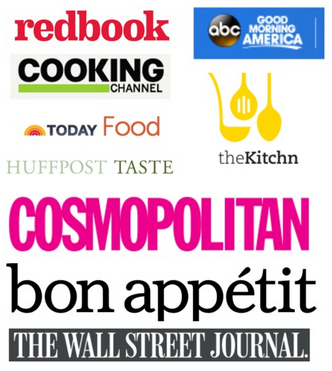 I love how our love of Jewish food keeps bringing us back together! So pretty already! So. 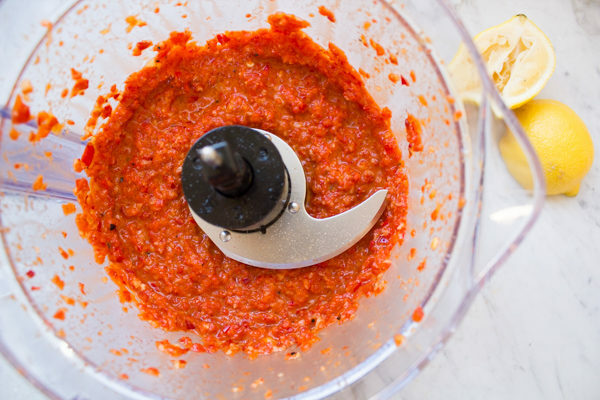 You made harissa. 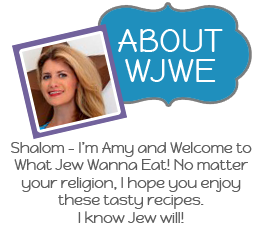 Mazel! Now what? I love it as a meat marinade. Or swirl with Greek yogurt for a healthy dip/sauce. 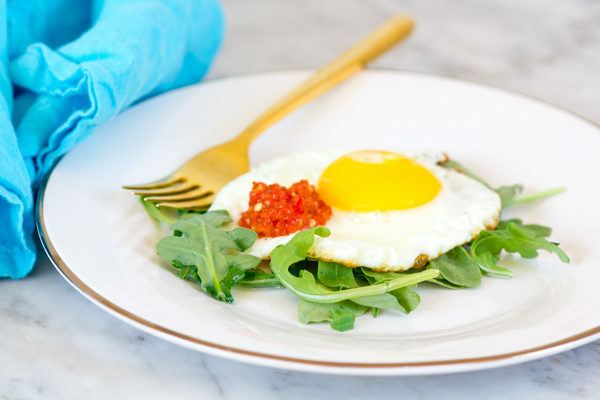 Use a little to spice up a fried egg. Oooh on a burger with a runny egg. Drool. 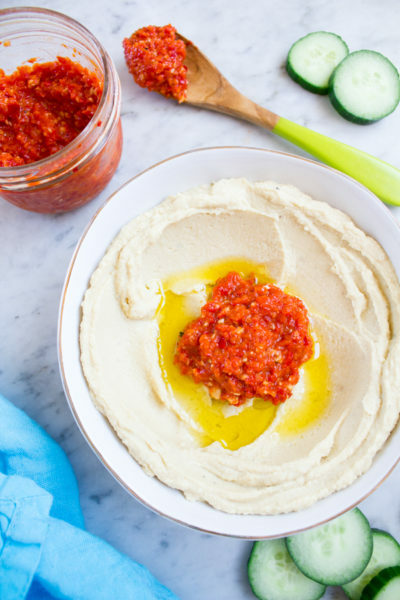 Turn normal homemade hummus into spicy homemade hummus! I’m sure you’ll get even more creative. 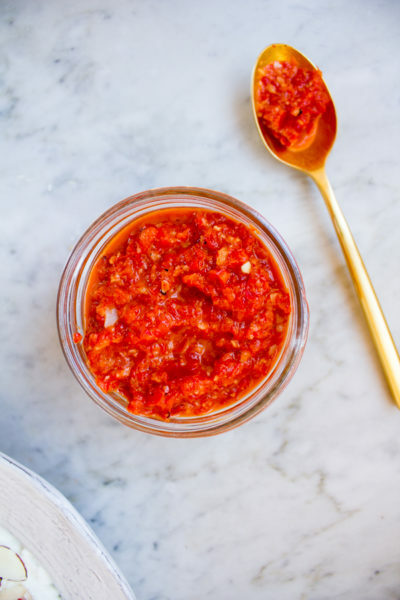 How to make homemade harissa to use on everything! 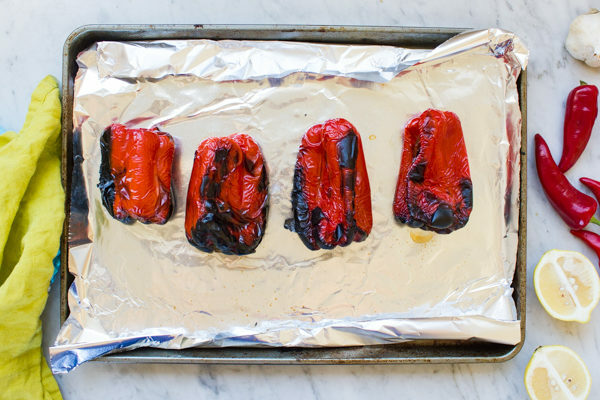 Arrange the bell peppers on a foil-lined baking sheet. Broil the peppers, turning two or three times, until charred all over, about 30-35 minutes. Place the peppers in a heatproof bowl and cover. Allow to stand for 10 minutes. When the peppers are cool enough to handle, slip of the skin, and remove the stems, core, and seeds. Set aside. In a large skillet, heat the olive oil over medium heat. When the oil is hot, add the cherry bomb peppers and garlic. Saute the hot peppers and garlic over medium-low heat until soft and golden, about 10 minutes. Do not allow the garlic to burn. 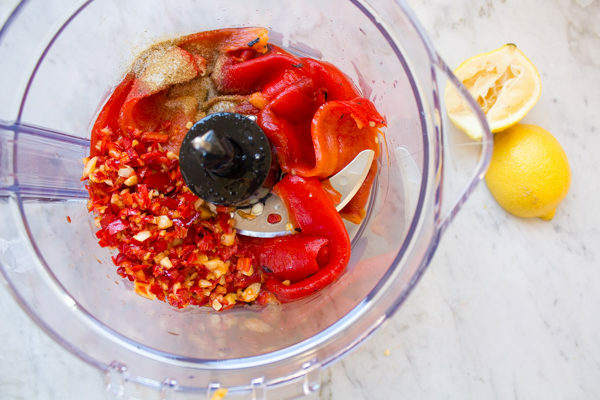 Place the bell peppers, sauteed garlic, hot peppers, lemon juice, cumin, and salt in the bowl of a food processor Pulse until the mixture resembles a slightly chunky paste, adding more olive oil if necesary. Taste and adjust seasonings. Transfer the harissa into clean and sterilized glass jars, leaving ¾ inch (2 cm) of headspace. Add a layer of oil to the top of the jar. (Do not add oil if you are planning to freeze the harissa.) Store in the refrigerator until needed.